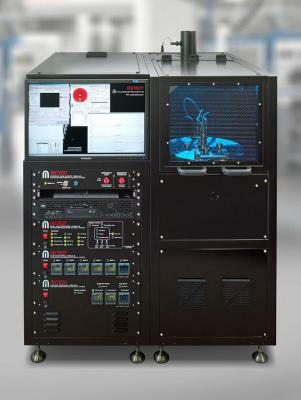 For graphene development and production, Aixtron offers the BM Pro systems (previously called Black Magic systems). BM Pro systems can be used to deposit graphene using both chemical vapor deposition (CVD) and plasma enhanced chemical vapor deposition (PECVD). Experts roundup: will CVD ever be a viable commercial way to produce graphene? Graphene-Info is happy to introduce a new feature: Experts Roundup. We asked several graphene professionals to answer a graphene related question. We hope this will prove to be an interesting read and can help shed light on the nooks and cranks of the graphene industry. Enjoy! 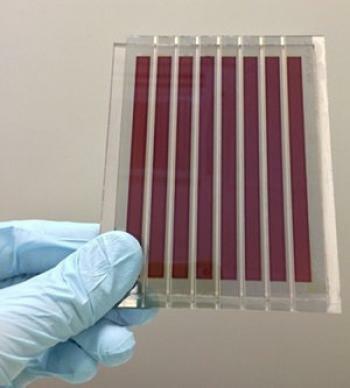 Do you think CVD will ever be a viable way to mass produce commercial graphene sheets? Gonçalo Gonçalves, product marketing specialist, Aixtron: Chemical vapour deposition has been used for several decades in the semiconductor industry to deposit high-quality thin-films. This technique is known to provide superior process reliability and throughput which are key requirements in the manufacturing of integrated circuits. Since 2004, graphene has emerged as a “wonder material” with an impressive number of potential applications across several fields. The discovery of a CVD route to produce graphene has also been an important achievement towards the integration of this carbon nanomaterial into semiconductor devices. With the advance of the graphene field from basic to applied research new and more complex challenges arise, especially in the integration reliability. CVD technique will find its way to mass production of graphene once these challenges are addressed and the benefits of graphene in semiconductor devices are unveiled. Aixtron, a leading global provider of deposition equipment to the semiconductor industry, has announced that the Institute for Microelectronics and Microsystems of the Italian National Research Council (CNR-IMM) in Catania, Italy, has purchased a BM Pro system in a 6-inch wafer configuration. The equipment will be used to produce carbon nanotubes and graphene for the WATER (“Winning Applications of Nano Technology for Resolutive Hydropurification”) project, focused on the use of nanomaterials for water purification. In particular, the research is investigating carbon nanostructures, such as nanotubes and graphene, that have turned out to be the most promising nanomaterials for such applications. Researchers involved in the €10.6 million European research project called GRAFOL have reportedly demonstrated a cost-effective roll-to-roll production tool capable of making large sheets of graphene on an industrial scale. The tool operates at atmospheric pressure and at reduced operating temperature, and is proclaimed by the researchers "the best route to low-cost manufacture". The project team also believes that graphene could be used as a substitute for transparent indium tin oxide (ITO) electrodes used in organic LEDs (OLEDs), enabling flexible designs while helping reduce dependency on ITO. In addition, the team showed that it is possible to adapt the CVD method to grow graphene on 300 mm-diameter silicon wafers – the standard size currently used in the semiconductor industry. That suggests the potential to integrate graphene in silicon photonics platforms, as well as flexible thin-film solar cells with transparent electrodes (like perovskite PVs, for example). Researchers from DTU Nanotech and collaborators at DTU Danchip, DTU Energy, Columbia University USA and Aixtron Ltd, UK have found a greener, more sustainable way of producing graphene. Their method not only reduces the amount of copper needed for growth but also reuses the copper. The scientists minimized the amount of copper needed for growth from 50 µm thick foils to 100 nm thick layers supported by silicon wafers. To transfer the graphene, they used a novel electrochemical method in a liquid electrolyte. This method involves oxygen from the atmosphere, dissolved in a liquid electrolyte in between the copper and graphene layer. By applying a reducing potential, the oxidised copper surface is changed back to copper without dissolving it, and at the same time releasing the graphene. This works well because graphene does not tend to stick to copper oxide and reducing the copper oxide results in a volume decrease which helps further to release the graphene from the catalyst surface.